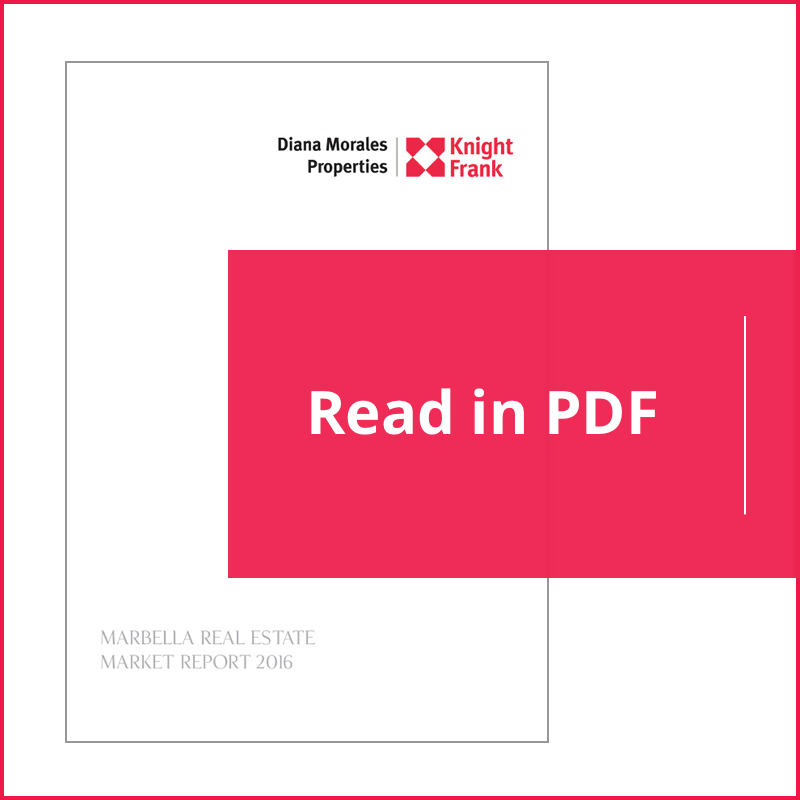 When we first began publishing this series of market reports the Marbella property market was still in full bloom. Over time we have charted the crisis and subsequent recovery, arriving at a time when tourism and real estate are once again fuelling the local economy – yet is it all plain sailing ahead of us? In this edition we look at what is in stall for this all-important sector in the coming months and years. 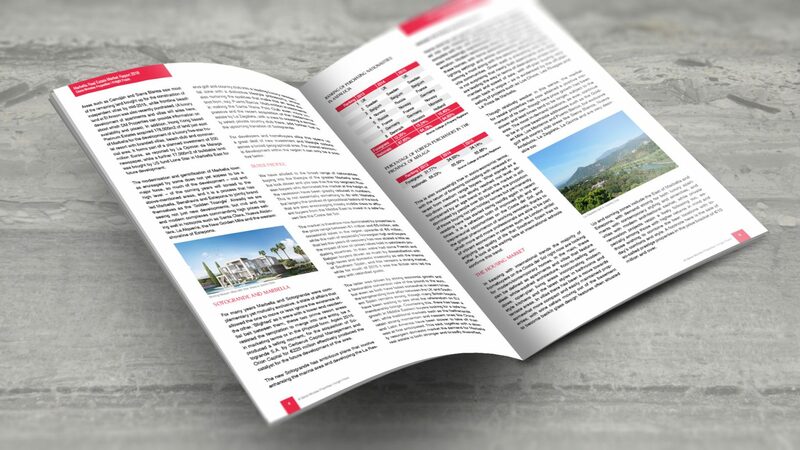 In the 2015 edition of our Marbella Market Report the evolution of the real estate market recovery into a state of bona fide growth was confirmed, a picture that continues unchanged today. Driven by buoyant tourist numbers and a resurgent property sector, Marbella is growing once more, with business start-ups in anything ranging from restaurants and bars to IT firms creating a renewed sense of vigour and enthusiasm. That said, there are local, national and global factors that ensure this is not a simple economic upward cycle, so the picture is one of growth qualified by a series of footnotes. While we can expect continued expansion at a measured, sustainable rate for the foreseeable future, it is important to be aware of those forces that have the potential to either temper or further stimulate growth before long. After reaching a low point in 2011, property sales in Marbella began to rise consistently, recording year-on-year gains that have long since surpassed double digits. The trend started in Marbella and has since spread to the entire Costa del Sol, rolling outwards from the most desirable beachside locations to include more outlying areas that were first developed during the previous boom. In the beginning it was mostly driven by the very top end of the market (often in the form of luxury properties in the Golden Mile, La Zagaleta, Sierra Blanca and Camoján) on the one hand and heavily discounted ‘distressed’ properties located outside the Marbella area on the other. As the unsold housing stock produced by the financial crisis was gradually absorbed – and here we have to stress that Marbella was only moderately affected by so-called toxic assets – the focus shifted to new-build homes, with the first new projects launched in 2012 and growing in number ever since. Examples include Reserva de Sierra Blanca in Sierra Blanca, La Finca in Rio Real, Diamond Beach in Rio Verde Playa, Les Rivages just west of Estepona, Los Olivos in Nueva Andalucía, Icon Villas in Santa Clara and Jade Beach in Nueva Alcántara. Though this has in many ways been a ‘top-down’ recovery, it gradually broadened its scope from a premium segment heavily dependent on Russian buyers to one dominated by mid to high level homes attracting cash buyers from countries such as Holland, Belgium, France, the UK, the Middle East and above all Scandinavia, where Norway led the way. Most were driven by the lifestyle and climate of Marbella, but for some, like the French, Belgian and Middle Eastern buyers, there were also ‘push factors’ in the form of high taxes or political instability. Together they form a very broad buying public whose appetite for the areas, property types and price ranges of the Costa del Sol remains as strong as ever. Driven originally by discounted prices, they are now above all enticed by the lifestyle and prestige of this region, and while still keen on value for money are now willing to pay for quality and location. The result has been a gradual increase in property prices (Knight Frank’s PIRI report cites a 2% increase in property prices in Marbella during 2015) that is most pronounced for new-build homes, properties and plots in top seaside and country club areas such as Puente Romano, Los Granados, Sierra Blanca, Camojan and Nueva Andalucia – the most dynamic categories at this moment. Indeed, there is even a waiting list for some beachfront complexes along the Golden Mile. The market conditions described so far are largely an evolution of a trend that first started with the initial recovery in 2012 and which has been gaining momentum ever since, but the latter part of 2015 did produce a development that has affected the landscape. Indeed, the Supreme Court ruling that annulled the provisions of the 2010 PGOU (Plan General de Ordenación Urbanística) has put a spoke in the wheels of Marbella’s urban planning progress – effectively taking some of the momentum out of its recently mounting growth. By rejecting for technical legal reasons the pragmatic solutions with which the previous Town Hall administration sought to resolve earlier planning infringements, the normalising effect of those moves was at least temporarily lost. The year, which had progressed so well, ran out of steam towards the end as uncertainty returned to the market. This uncertainty revolves primarily around the once again to-be-defined legal status of some 16,000 properties within Marbella’s municipal boundaries, as well as exactly which pieces of land are eligible for construction and which not. Though there was an initial reaction and Marbella’s recurring planning issues cannot be said to do the town any favours economically, the demand from buyers and investors alike has been almost unchanged. While it may take an estimated four to five years for the process of the affected homes to be completed and a new master plan to be drafted and approved, they and the parcels of undeveloped land in question represent only 15% of Marbella’s real estate market. Such properties will suffer to some degree in terms of price and saleability in the meantime, but the opposite is true of those properties and tracts of land whose legal status is guaranteed under the 1986 PGOU now back in force. In fact, the competition for such assets will only intensify in the face of reduced supply, so the expectation is that while it is undeniably a nuisance, the effect of the PGOU situation will gradually fade in importance. Such is the strength of the intrinsic demand for what Marbella has to offer. Even so, for the moment Marbella’s planning issues are providing a further growth stimulus for municipalities such as Benahavís, Estepona, Mijas and Ojén, which one by one have followed in the wake of the new recovery forged by their bigger, more internationally renowned neighbour. 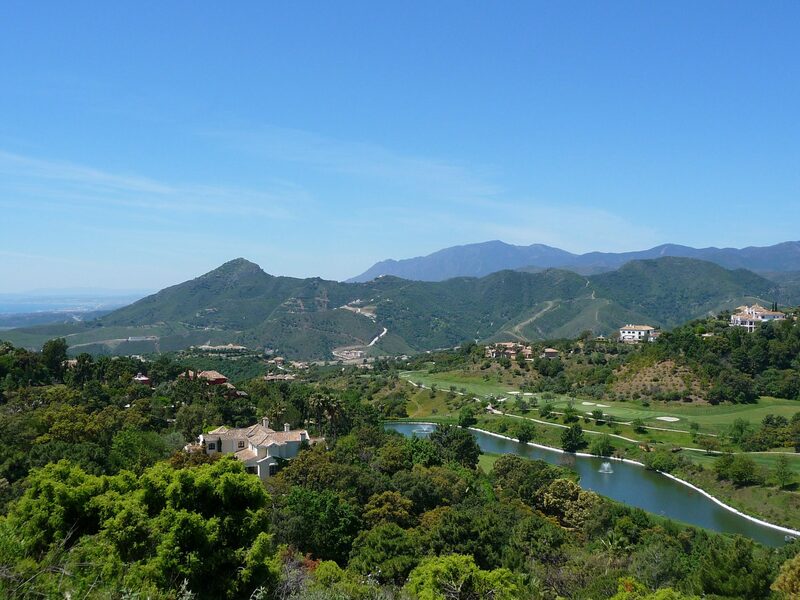 The lack of land in prime locations in Marbella and the city’s natural expansion outwards has also meant there has been an increase in demand for land in neighbouring areas in Benahavis and Estepona, where there is still room for future development. But there is another factor contributing to this process. Much of the significant residential investment carried out by large US and international funds was already centred upon Estepona and Benahavís and Mijas before the PGOU bombshell hit Marbella in November last year, with projects such as Valley Heights (Benahavís) and Cosmo Beach (Estepona) by RCS and Sunset Bay Village by Siesta Homes. 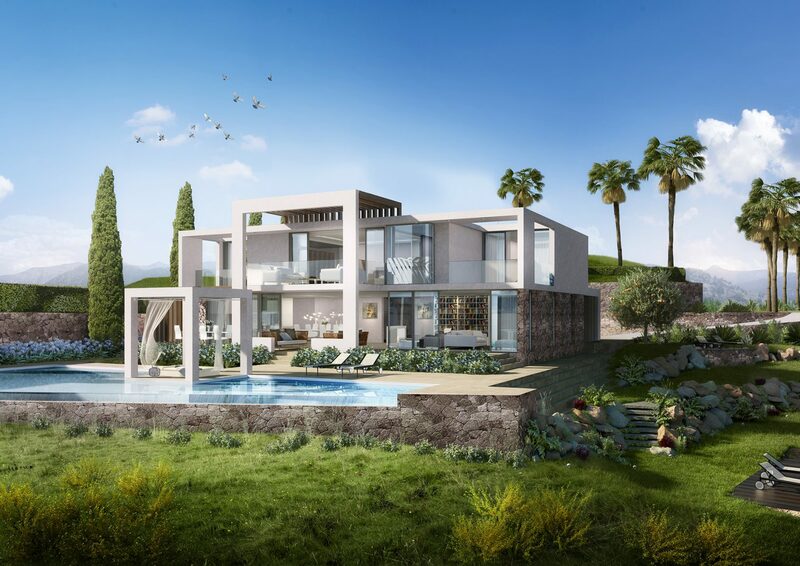 Other examples include Golf Hills Village in Estepona and Jardinana in Mijas Costa, both by London-based investment group CTH Capital with the participation of JAMSA. Yes, the land is cheaper and generally more plentiful there, but generally speaking this is also reflected in the sales price the resulting properties can command, so the growing popularity, read acceptance, of these surrounding areas isn’t explained by price, planning and availability alone, but by growing demand in its own right. Indeed, one could say that as it grows the Costa del Sol is becoming more cohesive. Leaving the coastal stretch between Torremolinos and Fuengirola aside for a moment, what were once disparate towns and resort areas are becoming increasingly homogenised – not just because of the geographical spread of development, but also because the glamour appeal of Marbella is rubbing off on its neighbours. The best addresses of Marbella, Puerto Banús and the country clubs of Benahavís will only gain further exclusivity in the process, but the lack of large tracts of undeveloped land within the more consolidated central parts of this region is turning the likes of Marbella East, Mijas Costa, Ojén’s La Mairena, Benahavís and Estepona into increasingly significant options for the effective extension of the Marbella way of life. Areas such as Camoján and Sierra Blanca saw most of the remaining land bought up for the construction of independent villas by mid-2015, while frontline beach land at El Ancon was also recently purchased. (A luxury development of apartments and villas will arise here, about which DM Properties can provide information on availability and prices). In addition, Hong Kong based Platinum Estates acquired 178,000m2 of land just east of Marbella for the development of a luxury five-star hotel resort with branded villas, beach club and commercial area. It forms part of a planned investment of 200 million Euros, as reported by La Opinion de Malaga newspaper, while a further 17,000m2 of buildable land was bought by US fund Lone Star in Marbella East for future development. The modernisation and gentrification of Marbella town as envisaged by some does not yet appear to be a major force, so much of the development – mid and high level – of the coming years will spread to the above-mentioned areas, and it is a process that has led Marbella, Benahavís and Estepona to jointly brand themselves as the ‘Golden Triangle’. Already we are seeing not just new developments, but mid and top end modern complexes commanding high prices selling well in hotspots such as Santa Clara, Nueva Alcántara, La Alquería, the New Golden Mile and the western shoreline of Estepona. For many years Marbella and Sotogrande were complementary yet mutually exclusive, a state of affairs that allowed the one to more or less ignore the existence of the other. ‘Blighted’ as it were with a lower end residential belt between them, these two prime resort areas resisted the temptation to merge into one entity, be it in marketing terms or in the physical form. Again 2015 produced a telling moment, for the acquisition of Sotogrande S.A. by Cerberus Capital Management and Orion Capital for €225 million effectively produced the catalyst for the future development of the area. The new Sotogrande has ambitious plans that involve enhancing the marina area and developing the La Reserva golf and country club into a leading luxury residential zone with a distinctive lifestyle philosophy, whilst also nurturing the qualities that make this an area distinct from, say, Puerto Banús. Multi-million investments in making the Santa María Polo Club even more impressive and the recent acquisition of the Valderrama estate by La Zagaleta, with a view to creating a similarly select private country club there, add further fuel to the upcoming transition of Sotogrande. For developers and homebuyers alike this opens up a great deal of new investment and lifestyle options across a broad geographical area. For overall economic development within the region it can only be a positive factor. We have alluded to the broad range of nationalities buying into the lifestyle of the greater Marbella area, but look closer and you see that the top segment Russian buyers who dominated the market at the height of the recession have been greatly reduced in numbers. This is not essentially something to do with Marbella but largely the product of geopolitical factors of the kind that are also encouraging mostly middle class to affluent buyers from the Middle East to invest in a safe haven like the Costa del Sol. The market is therefore now dominated by properties in the price range between €1 million and €5 million, with occasional sales in the region upwards of €5 million, while the rush of especially Norwegian high end buyers that led the years of recovery has now abated a little as the impact of low oil prices takes hold in petroleum producing countries. In their wake had come French and Belgian buyers driven as much by dissatisfaction with high taxes and domestic insecurity as with the charms of Southern Spain, and this remains a strong market, while for much of 2015 it was the British who led the way with rekindled gusto. The latter was driven by strong economic growth and a favourable conversion rate of the pound to the euro, but even as both have faded somewhat in recent times the longstanding love affair between the UK and Southern Spain remains strong, though many British buyers have been waiting to see what the referendum on EU membership brings. Countering this, there has been a growth in Middle Eastern buyers looking for a safe haven, while traditional markets such as the Netherlands retain strong momentum and nascent ones like China and Latin America have been slower to take off than was at first anticipated. This said, together with a slowly resurgent domestic market the demand for Marbella real estate is both stronger and broadly diversified. This is also increasingly true in socio-economic terms, with the return of financing coinciding with renewed interest from medium range buyers. What started as a top-down recovery has slowly reached mid level, accompanied by an age trend in which the market is still dominated by people over 50 but where the proportion of those buying not just holiday homes but permanently residing here has started rising rapidly again in recent times. It is a reflection both of improved job and entrepreneurial opportunities on the Costa del Sol, and the global phenomenon of working remotely, thanks to which more and more professionals are able to be part of vibrant economies in centres such as London whilst enjoying the quality of life that Southern Spain has to offer. A look at the waiting lists at international schools confirms this trend. In keeping with international trends the majority of homebuyers on the Costa del Sol right now are looking for modern/contemporary homes. In the main, these can be defined as apartments and villas that feature sleek white-washed architecture, floor-to-ceiling windows, open-plan living areas incorporating modern style kitchens and the latest styles in bathrooms and terrace areas. In villas there has been a move towards somewhat more compact and easily maintained properties, with wine cellars moving out of the basement to become backlit glass design features often situated between the kitchen and dining room. Home cinemas and games rooms are being integrated into one interactive entertainment area typically complete with bar, with areas such as gyms and home spas increasingly sophisticated in their aesthetic presentation. Modern technology plays an important role in these homes, with home automation systems, modern lighting settings and online connectivity gradually becoming a must along with the security offered by gated villa communities. Given such a prevailing wish list, it is not surprising that newly built apartments and villas are leading the way in terms of desirability, prices commanded and speed of sale, with off-plan buying very much back in vogue – as is evidenced by the off-plan selling of projects such as Los Olivos, Les Rivages and La Finca de Marbella. Though relatively weaker in this sense, the market for resale properties has now attained a positive momentum of its own, though here price growth has been slower and lead times tend to be longer, subject to the area. The most in-demand locations, as ever, continue to be in prime beachside addresses such as the Golden Mile, Los Monteros and Puerto Banús, but exclusive golf and country club areas like Sierra Blanca, Nueva Andalucía, La Zagaleta, La Quinta and are very desirable too. Up and coming zones include the East of Marbella and Estepona, with demand strong for both luxury apartments with contemporary styling and amenities, and villas with modern architectural cachet, while private renovation projects retain a lively following too, especially among those with higher returns in mind and those wishing to combine the best locations with today’s comforts and style. A footnote here is the sale of so-called prestige properties in the price bracket of €10 million and over. In terms of investment and development, the move is towards bigger, with the bespoke smaller projects gradually overshadowed by larger-scale projects that can now count on participation from major banks. This is in itself a sign of growth, and it comes amid a climate of economic recovery on a national level too, with Spain posting 3% GDP growth in 2015 (the highest in Europe) and a steady drop in unemployment. Public finances are looking a lot healthier than a few years ago, as are the nation’s banks, though it is in spite of the political impasse that marked the first half of 2016. Political uncertainty surrounding the elections of December 2015 slowed the flow of foreign investment into Spain towards the end of the year, yet the good news is that the Spanish property and construction sectors are once again contributing to economic growth as bank mortgages have returned and domestic sales are gradually rising. On a more global level the current situation is marked by sluggish growth, low oil prices, deflationary worries and political instability in large parts of the world, notably the Middle East. 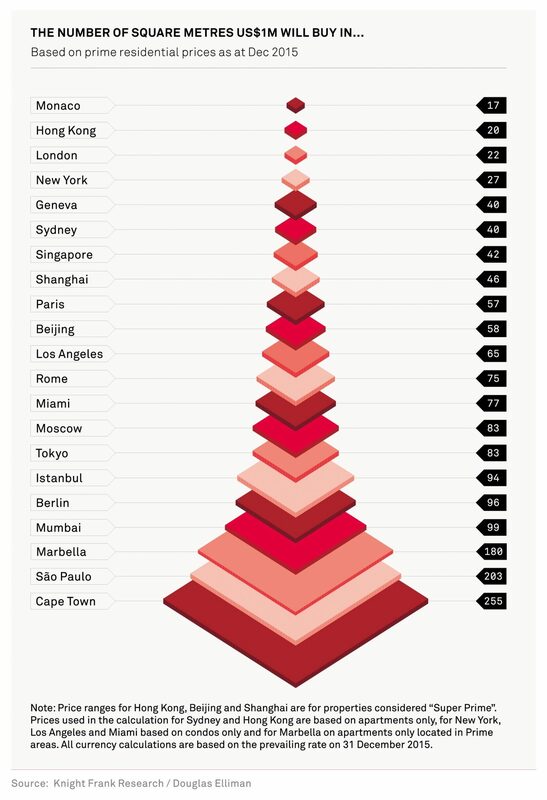 While this dampens the overall outlook and reduces both consumption and investment, it also highlights the safe haven represented by places such as Marbella, placing it right up there with the likes of London, Switzerland and Monaco. Moreover, as real estate is back in vogue as an investment class among the world’s wealthy, regions such as our own stand to gain – not just because of the glamour and lifestyle it offers, but also because property here is still regarded as offering both value for money and the potential for capital growth. Just a few years ago we described Marbella as coming out of the downward slopes of recession, into the valley of stabilisation and eventually out on to the foothills of recovery. Today it is fair to say that we are well and truly in the hilly terrain of economic growth. It is not a seller’s market yet but certainly no buyer’s market either, as very good opportunities continue to exist for buyers and investors alike, and in terms of this we can expect the growth cycle to play itself out for some time to come. In summary, therefore, we have seen a continued strengthening of demand from a very broadly diversified range of countries. This demand is especially focused on new properties, the development of which has not only spurred on new construction but also seen an improvement of the existing housing stock of Marbella through extensive renovation and modernisation. New projects, moreover, are subject to ever-improving standards and luxuries as today’s buyers demand more in terms of style, luxury and amenities. The competition for scarce development land is leading to a steady increase in prices that is mirrored by gently rising property values in prime locations, but it hasn’t reduced the appetite of large foreign funds keen to create luxurious residential and hotel developments in prime locations. Together with the continued demand for the Marbella way of life, this interest from leading international investors is the sincerest reflection of this region’s continued appeal. We live in an era of change. Brexit has come to pass, bringing with it a great deal of flux and restructuring as the European Union adjusts to a new reality without Britain and the UK finds a new place in the world. There will be months of negotiations ahead regarding the actual separation of the country from the economic bloc, as well as subsequent negotiations on trade deals – not just with the EU, but the rest of the world too. In the short term the markets will react strongly and the pound will drop, but the UK is an inherently healthy economy, so it, the EU and the rest of world will weather the storm and eventually calm will return. A recession does, however, seem hard to avoid for the UK in the short term, as much investment, expansion and employment earmarked for London and other major centres in the country will now look for other outlets. Though Europe too will be affected many cities and regions stand to gain from this geographic readjustment – with markets such as Marbella in a strong position to attract much of the domestic and international investment that will leave an overheated British property market. Many British residents and homebuyers in Spain will feel a sense of uncertainty for a while, but already the British and European authorities have been quick to point out that the position of EU citizens in Britain and that of Brits in Europe will remain largely unaffected. Given the strong intrinsic demand from British buyers for Marbella, especially the luxury segment will prove to be robust in a market that is in any case more diverse in terms of the many nationalities that are now buying here. The Brexit week also brought us the rerun of the Spanish elections, which saw the PP edge somewhat closer to a majority but still fall short of it. In that sense the elections failed to produce a clear way forward, but Mariano Rajoy is in a slightly stronger position to negotiate than last time round. And if he were to heed calls to step down as leader of the centre-right PP, it could open up the door to a so-called ‘big coalition’ alliance with the PSOE labour party. As with Brexit, the coming months will bring more answers, but here too the economic underpinnings are pretty sound and Spain’s GDP is expected to grow by at least 2% this year, with Marbella’s forward momentum in tourism, property sales and construction well established by now.